Skipped the video? No worries, here’s what you need to know. 1) We launched the freaking Contacts Manager!!! We know, we know…it took way more time than anticipated but that is because we don’t want to ever rush a thing like this. We want to take the proper precautions in developing, testing and improving any given feature before it is publicly released. What most people do not realize is that even the smallest thing like adding a new button to the UI doesn’t happen in an instant. 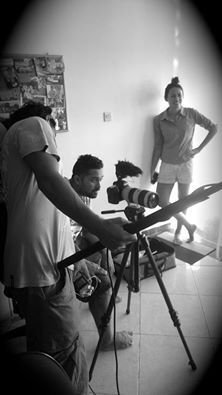 There is a lot of mock ups, design work, testing, getting feedback, development, more testing and the cycle continues. Basically, it takes a REALLY long time to perfect even the smallest change or addition in Mailbird. Trust us, we really care about the experience you get with Mailbird and will continue to relentlessly improve as the software develops. Thanks for your patience, you are awesome! 2) We made some color tweaks that has a better algorithm to decide the color match between the background and foreground of the Mailbird UI – an even more beautiful experience! 3) The new attachments app design has been completed. 4) Snooze is now fully complete and has a the option to create a custom time and date for when you want the emails to pop back into the inbox. Cool. 5) You know when you add an account and Mailbird auto-detects those complicated server settings so you can start using that email account in Mailbird? For those of you who use less common email servers like @dreamhost.com, @secureserver.net, @cytanet.com.cy etc. we’ve set a triggered automation to inform us so we can be sure the auto-detect for the server settings will include yours. Just making things a little easier along the way. 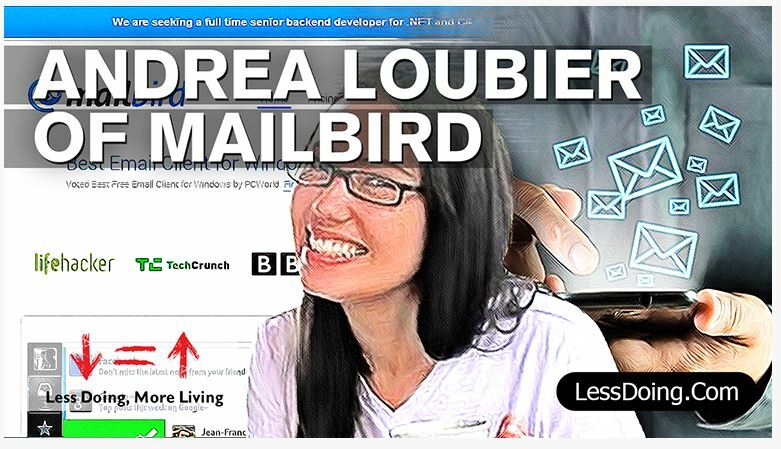 6) The new licensing continues to get better and better where we will soon be able to offer a 30 day trial to those who are considering going Mailbird Pro or Pro Lifetime. Yes! 7) With our support team always looking for ways to serve you better we are targeting to respond to incoming inquiries and reports from you, our beloved users, within 1 hour during our business support hours (+8 time zone). Additionally we are taking more time to engage with you via the forums on on support page because we actually care about you and what you have to say. 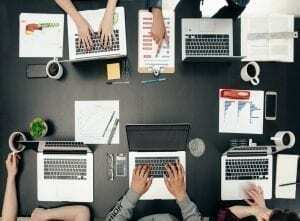 8) Our team is totally focused on helping you take control of your inbox again. With our concentrated efforts throughout 2014, so far, we’ve helped people around the world reach inbox zero 552,985 times. That is awesome. 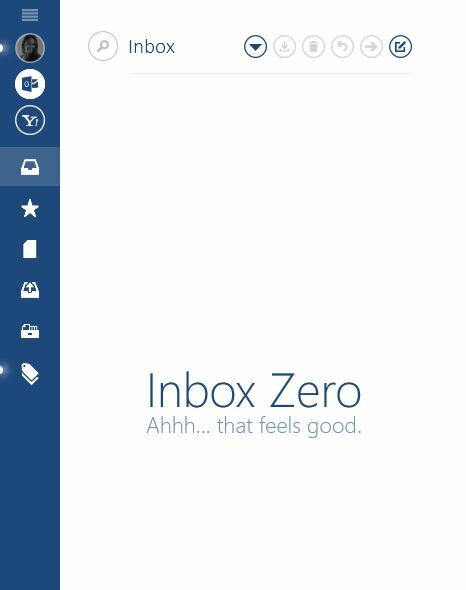 Just get ready for Mailbird 2.0, we anticipate that Inbox Zero number to be significantly higher. 9) We’ve made a lot of progress on our new website and will be launching it a little earlier than expected. Look out for it December 11th! 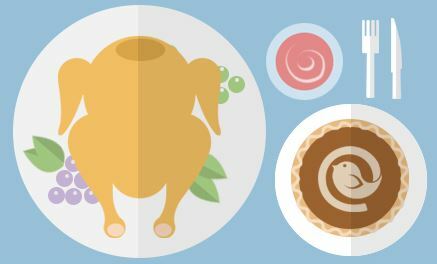 11) We have an awesome Thanksgiving promo coming your way! The details are coming this Sunday via our social channels and blog. You won’t want to miss it! 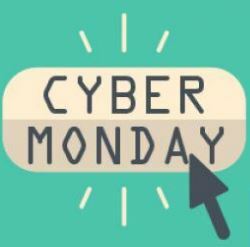 12) It doesn’t end there, we’ve even got a special Cyber Monday promo for Monday December 1st. It will only be available for a short time and we’ll be sharing more details on it, but ONLY on our social channels and via our website. 13) There is now a new subscription box on our blog allowing you to sign up to be notified anytime we publish a new blog, so you are always up to date with Mailbird updates, important email hacks and productivity tips. 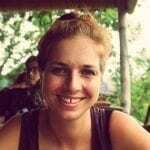 14) We are getting even closer to recruiting our newest position on the Mailbird team, our senior C# developer. We are sending out the first major developer skills test that will be used to hand select the best of the best to join us on our epic email quest. 15) Remember in the last hackathon update #3 we mentioned that we’d be on 2 new podcasts? Here they are! They just went live today. Second one is with Tayo Rockson, founder of Use Your Difference to Make a Difference. 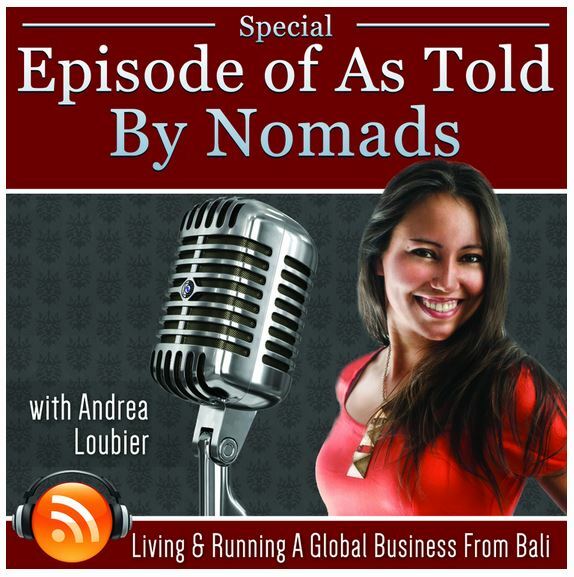 Tayo interviews Andrea on what its like to be a Third Culture Kid while living and building a global business from Bali. Listen to it here. It has been quite the ride this past month. 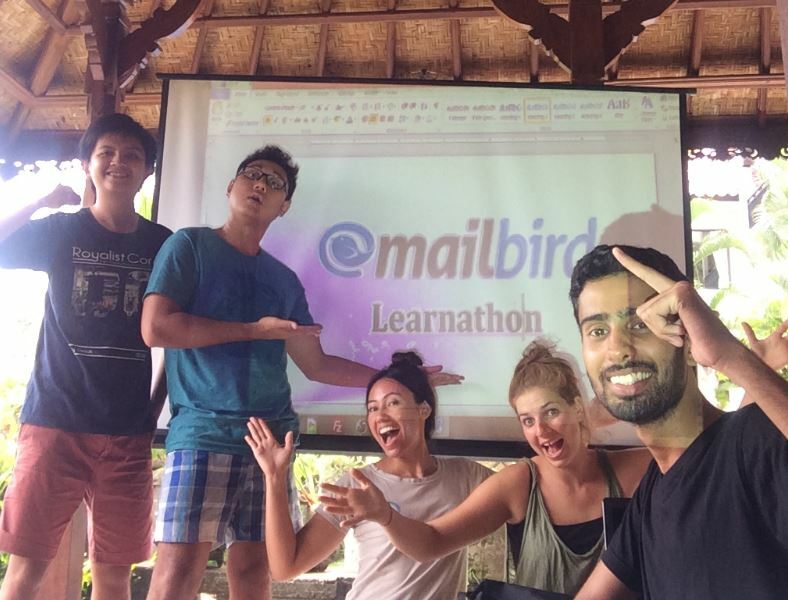 This hackathon was a great success because we really accomplished a lot of things for Mailbird users and inspired many new users to also switch to Mailbird – that makes us more happy than you know. Rest assured, this is not the end as we only skimmed the surface for all the great things to come. 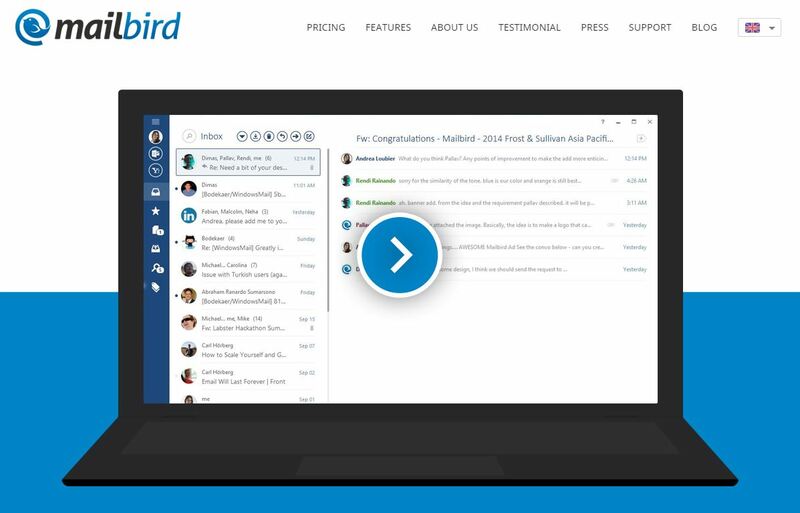 Starting with Mailbird 2.0 early next year, more integrated apps, Wingman, unified inbox, advanced search and more. Once these are all in place we will get the opportunity to actually further fine tune and really perfect the experience for you in Mailbird. We really hope you share this with your friends! 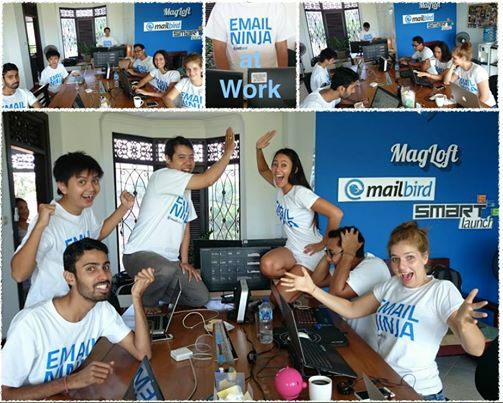 It has been such a great experience and we feel even closer to all our beloved Mailbird fans. 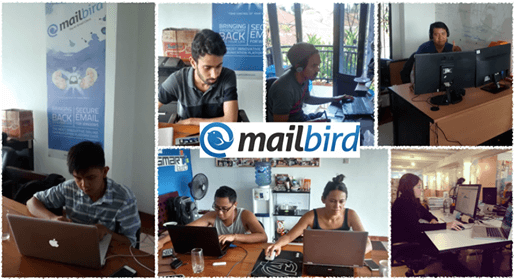 It has been amazing to see how engaged you guys have been as we unveil ourselves publicly during this hackathon, because we believe in transparency and want you to know who is behind Mailbird. 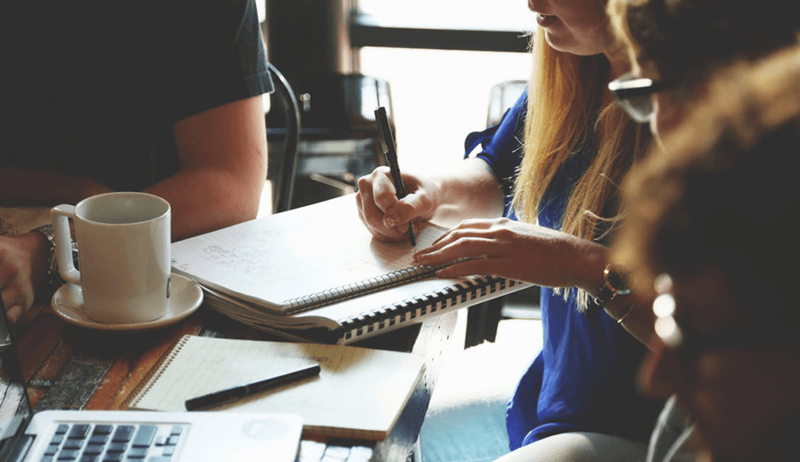 It continues to be an absolute pleasure to connect with all of you, while also improving your relationship with email and productivity. From the very bottom of our hearts, after many sleepless nights, dance breaks, learnathons, competitions and countless check-ins to ensure our progress is on track – we simply Thank You for joining us through all of this.  We really cannot thank you enough and know that if you stick with us, things will only continue to grow so we can ensure you are always an email productivity superstar. 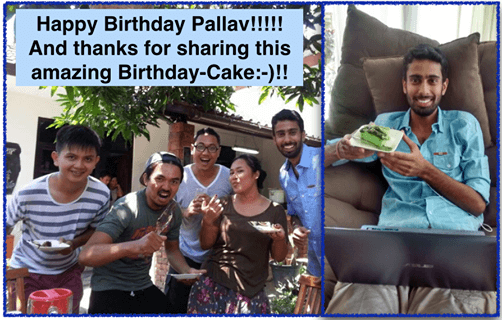 11 thoughts on "Mailbird Hackathon Update #4"
Thank you Patty…we will make sure we will keep you updated:-)!! Hmm, does that mean my Mailbird tells you when my inbox is empty? Or is that just the number of downloads? Seriously this is the one missing feature that separating the men from the boys.